anything from this website without my permission. so make sure your rabbit is vaccinated against this deadly disease! and VHD vaccinations, and lasts for a whole year! This is in addition to Filavac, the vaccine against the new strain of VHD/RHD called VHD2/RHD2. Both vaccines can be used from five weeks of age - if you would like a baby you have reserved to be vaccinated before you collect them, this can be arranged through my vet. The cost at my vets for the Nobivac vaccination is £35.00 per rabbit including full health check, or £24.00 with a basic health check. 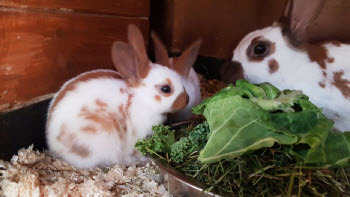 The Filavac vaccine is £19.00 per rabbit with a basic health check but does need a booster at 10 weeks of age if done earlier than this. This cost can be added to the purchase price, and you will receive a vaccination certificate to take away with you as a reminder of when the booster is due. Please let me know if you would like me to do this for your own peace of mind. All of my rabbits have been given the new vaccine with no side effects whatsoever. MYXOMATOSIS WARNING - PLEASE READ!! please see the separate page called Cylap reaction. I have also heard the sad news that a rabbit has now died following awful complications after receiving the Cylap VHD vaccine. Please see the Cylap reaction page. 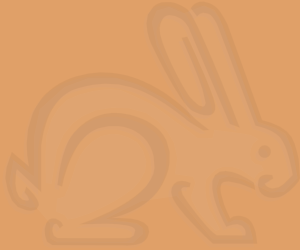 Please note that this vaccine is no longer available in the UK, having been superseded by the combined myxomatosis/VHD vaccine (Nobivac) and more recently the VHD2/RHD2 vaccine (Filavac). 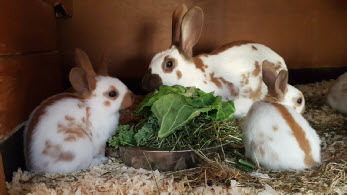 I am pleased that there is now a combined VHD/myxomatosis vaccine, my rabbits have all been receiving it since 2012 with no side effects whatsoever and in addition have had the Filavac vaccine since 2016.
does not protect against it, but in 2016 a new vaccine became available. but does require a booster at 10 weeks if done before this age. between giving the two vaccines. Exhibition rabbits are required to wear a metal ring on one of their hind legs for the purposes of registration and identification. 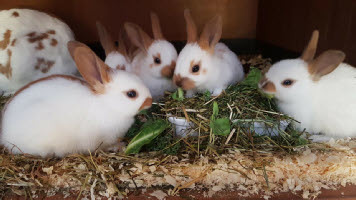 These rings come in different sizes according to the breed of rabbit and are purchased from the British Rabbit Council. For many decades the size for English rabbits was a D size. From the beginning of 2016 this size was increased to an E size, despite members of the National English Rabbit Club voting against this change in a ballot some years earlier. The change was brought in anyway and unfortunately resulted in a broken leg in Hickory, one of my rabbits, due to the fact it was able to slide down onto the lower part of the leg and get stuck there. Hickory is now fine, but had to undergo surgery and many weeks of restricted space. 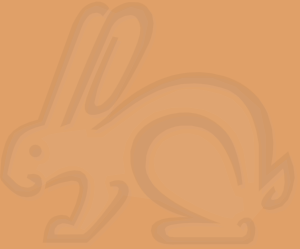 The same has also happened to other English rabbits belonging to other breeders. Babies are ready to reserve!! supply of food and a lifetime of after-care advice (should you need it). if you would like me to do so. they can be viewed and reserved from mid April onwards!